enough of her…she seeking attention. a war she love. When will one decide to stop and ignore the other? Please smaddy point them to the “HIGH ROAD”! Di two a dem waah put inna barrel and roll dung a f**king hill.. im sick of these two attention seeking asses. 2 a dem come een like some likkle pikney- me and mi likkle cousin used to be the same when we were younger, just can’t stop aggravate each other smh. Mi granny used to say we too picky picky lol. It will never end with these two! mi feel sorry for her…she is her own down fall. young and dumb and here her followers a cheer her on. She better act proper to save her career if any left. u dont know to take advantage of the moment. DANCE HALL SOAP OPERA FOR WEEKS AND MONTHS TO COME. All I know is that them annoying now…..Ishawna a mad ova foota it seem….are they following each other on instagram? How she know him put up picture?mi sorry Oshawn couldn’t chose him parents, cause none a dem should be it. Dem mek mi waah vomit.a spotlight dem a look…stop put up dem story now met…..more important story deh a road! ICEWATA YU MIND IS VERY DIRTY!! 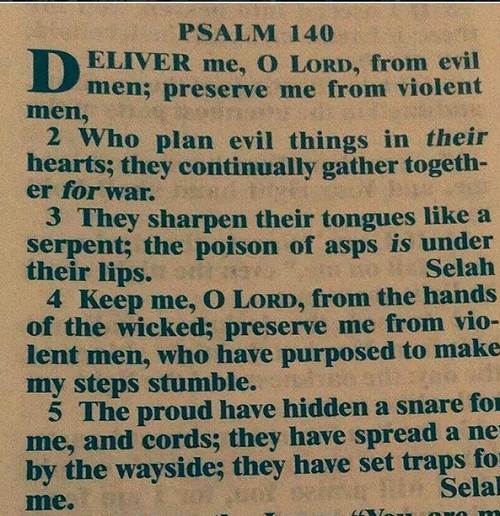 YU SI HOW YU LOVE RUN TO PSALM,IF YU KNOW THE BIBLE THIS MUCH. YOU SHOULD KNOW NOT TO SLEEP WITH SKATTA FI GET A BUSS….YOUR NOTHING BUT A OPPORTUNIST,SKATTA CAH BUSS YU WID YU NO TALENT SELF! Remember d THIRD stage of the battering/ domestic violence cycle :THE HONEY MOON STAGE … Here FOOTAH is again, apologizing, buyin d gifts and promising to change. Nuh tell d gyal wah fi DO. Gwaan through my girrrrl… READ yuh BIBLe and DONE HIM. I see huh start pray now..
Lowe d FOOLS dem make dem CHAT. F**K THANK YOU… She Nuh NEED fi say dat. – she gettin WISE now. After d BEATINGS Was gifts and niceness. Calm, then more beatings later. – f**k all who think d only buss skatta givin her is in d bedroom. – she ah gain pillar of STRENGTH a now. She ah read Bible. She ah speak OUT. Great great movements ISHWANA my girrl. BIG UP SKATTAH fi standing up when NOT one else did and unno did KNOW she was battered. If FOOTAH got BUN IT IS GREAT.. She head was emotionally confused and traumatized. D NERVE OF THIS F**KA FOOTAH FI POST CAKE ! (( I am sure Skatta already made her breakfast lunch and dinner-ooo. – F**k BAD move… She HAVE FI WARN HIM FI STOP d F**KERY. NO TALKIN. Chat to she LAWYER woman beater. In response to d HATERS She didn’t know she bible THEN, but she is LEARNING it NOW. ooun bitter sah how ooun a go feel when ishawna a foota start hook again? She should have just not addressed his post, but she I an attention seeker. She better stay humble. – possible CHILD CUSTODY BATTLE APPROACHING . – she was KIND not to LOCK up FOOTAH RAS… Cuz he coulda LOSE him visa ok.. WHY he Nuh learning? – is she does ORDER of protection in NY/ NJ a where the child is staying. First order is usually six weeks to six months till NEXT court date. So FOOTAH better STOP IT. Not enough she MOVED OUT. It ah BUN him like hot porridge. – D SONG AH BUN HIM. He too evil and WICKED … A beater with gifts. Cake. P.S. And WHY ISHWANA must stay ‘ humble,? F**k unno. SHE AH GROW NOW.., this is HER TIME to shine. Soft spot u sure you aint mslegend u know so much? U sound like a stalker. Soft Spot is so extra and boring! Shut up and chill with all your curse words. Are you her woman? A now mi understand Ishawna rage and hatred of Foota. Mi juss si de evidence of one of de beating him gi ar. While she neva have to respond dah way yah, mi can understand. Him deserve everyting shi dash pon him. Publicly humiliate him any time him reach out tuh ar in public. It done outta road and him cyaan duh ar nutten again. Foota is a big pu$$y, ongle have strength fi ooman. Ishawna gwaan live yuh life an nuh look back pon Foota. @Nosah you didn’t see her interview on onstage when she say yes to marry him,she say she never want to embarrass him in front of the people dem thats why she say yes.but she a no she did want to say,she wasn’t going to marry him. Rebuke him arse yes. Now please to ignore dis eediot bwoii and galang guh live u life and tek care a u chile.